"MATTHEWS -- On 15th October, at 15, Mary-terrace, Goodwood, to Mr. and Mrs. T. H. Matthews -- a daughter. Both well." 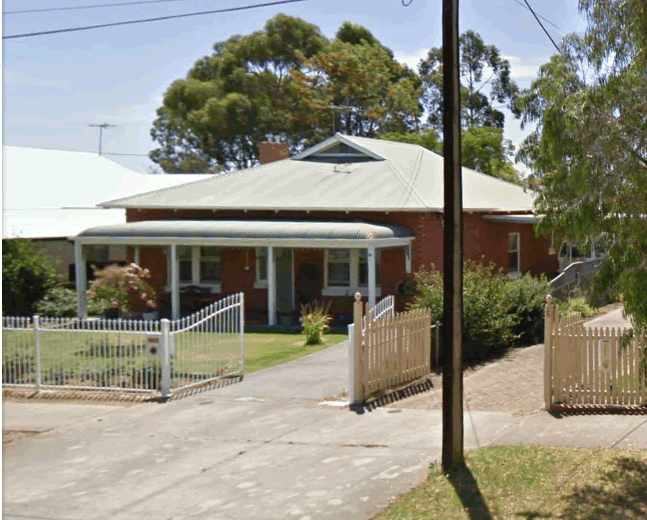 My Mother Jean Matthews was born at 15 Mary Terrace, Goodwood 5034, South Australia on October 17th 1914. 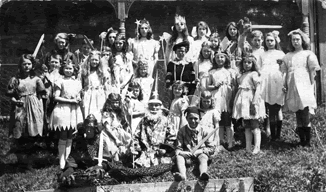 She was the first child of Thomas Hedley Prout Matthews and Alice Louisa Howell and their pride and joy. Jean was only 2 lbs and a premature baby when born and it was said that her head would fit into a breakfast teacup. The doctor put a crown coin, being his fee for delivering the baby, into her hand and said that if she grips it she will live - and she did. Baby Jean was kept in a draw by the fire out of any draft. 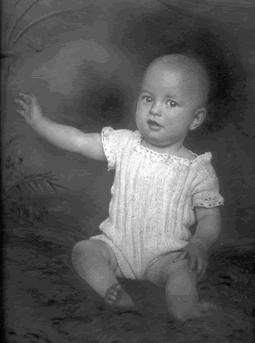 I am told that one week after Jean's birth Thomas had a little drink to celebrate and when he registered the birth on October 24 he forgot the name Alice and he had agreed. Instead of registering Jeanne he named her Jean. When my sister Mary Alice Richards (then Bizzell) registered her daughter's birth she called her daughter Miranda Jeanne Bizzell. 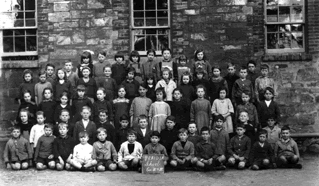 About 1926 the family moved back from Summertown to 31 Wright Street, Edwardstown. 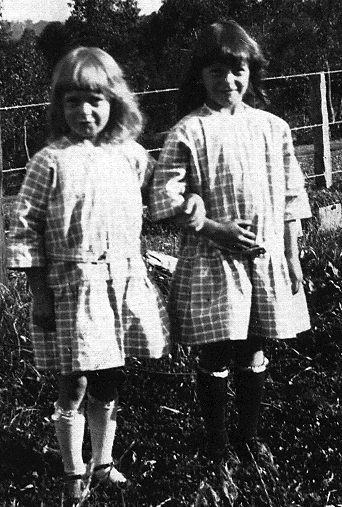 Jean would have been about 13 and Nancy said she was 3. 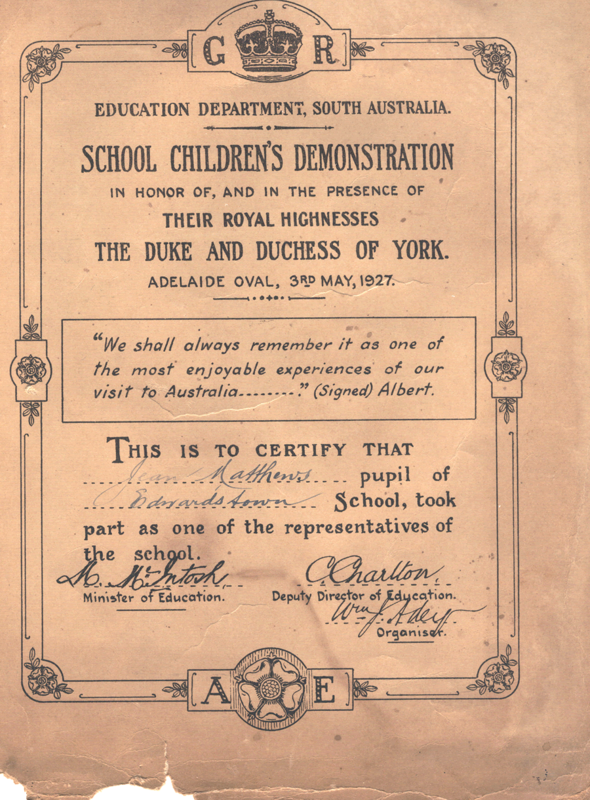 When Their Royal Highnesses the Duke and Duchess of York visited Australia in 1927 there was a school demonstration at the Adelaide oval on May 3rd 1927 and Jean was given a Certificate by the South Australian Education Department as she was a pupil of the Edwardstown School and took part in the demonstration. Prince Albert wrote "We shall always remember it as one of the most enjoyable experiences of out visit to Australia………." 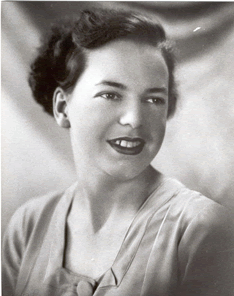 Jean was engaged to Vincent Reid a racehorse trainer from Victoria. 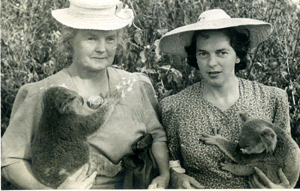 Unfortunately Vin had Tuberculosis and died a few months after Jean returned from New Guinea. He was happy for Jean after he knew about her relationship with Bill Richards. 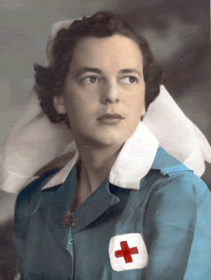 On November 10 1941 Jean enlisted in the Australian Army Medical Women's Service of the A.I.F. and her Service Number was SFX 15089. 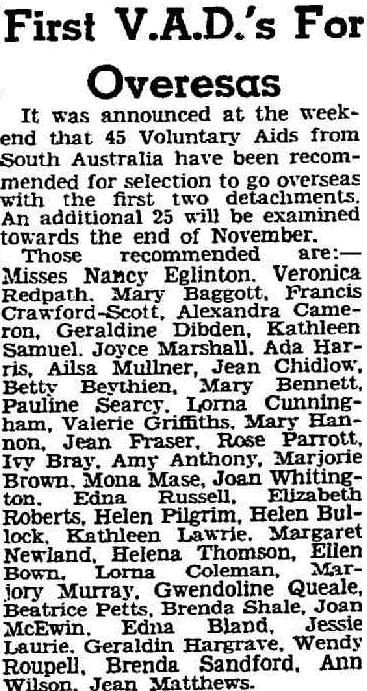 Lance Corporal Matthews was attached to the 2/9th Australia General Hospital Field L of C of the A.I.F. 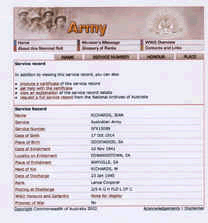 and was Baptised a Roman Catholic by Vincent F Folkes, the Chaplin of the 2/9th Australian General Hospital on November 19 1944. Jean married William Henry Richards M.M. 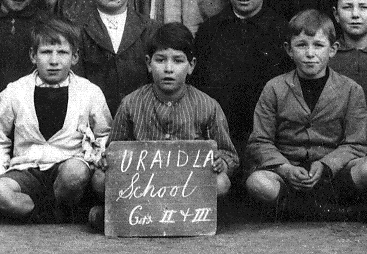 at 6 p.m. on November 28 1944 at the Roman Catholic Corpus Christi Church at Nundah. 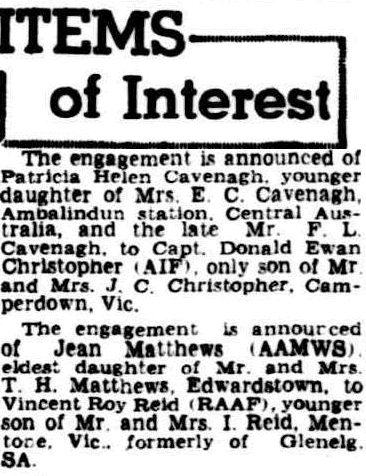 Private Clair Dickason (Alice Clare Dickason VFX66168) from Richmond Victoria was bridesmaid and Bills brother Ron was best man. Jean met Bill in New Guinea and nursed him back to health after he was wounded in action during WW2. 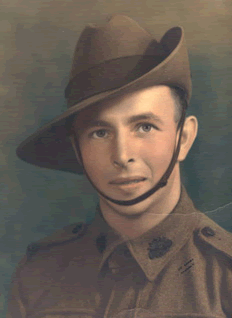 Lance Corporal Matthews served for 1143 days of which 207 days were outside Australia in New Guinea. 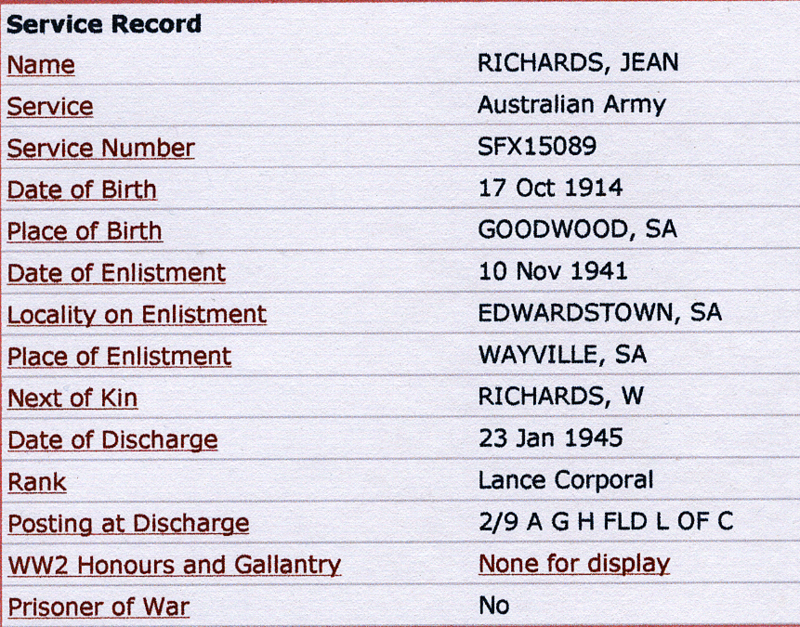 Jean Richards was discharged from the Army on January 23 1945. 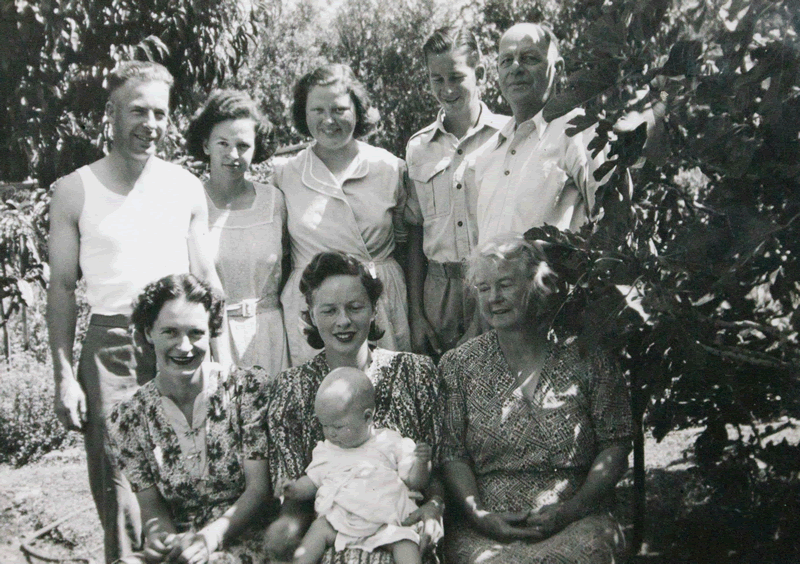 On the back of the Photo is from the back left Lance, Dot, Bet, Jack (John) and Thomas front row from Left Thel, Nan and Nanna Baby Jenny Xmas week 1949. Thomas Hedley Prout Matthews was a son of Captain George Henry Matthews who was in turn a son of Thomas Matthews, the Cordwainer, from Cornwall. 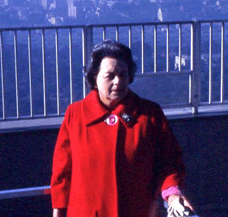 Alice Matthews was the daughter of Henry Arhur John Howell. 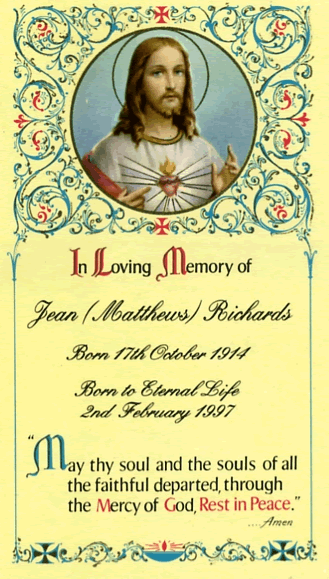 Jean died 1997 not 1998 and 'narated' is spelt narrated - will be fixed when video is updated. Page Authority 00/100 - Moz Ranking 0.00 /10 - Domain Authority 20/100 on 31/10/2013 - Page re-published 31/10/2013.